This ward was specifically started for the treatment of patients with highy communicable diseases such as Dengue, Ebola, Chikungunya, Chicken Pox, Swine Flue etc. Headed by Dr Umesh Prasad and assisted by nurses. 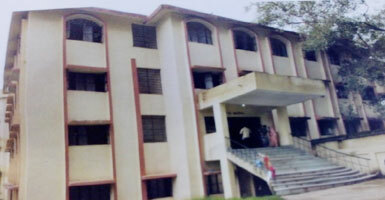 It is currently equipped with 36 beds, of which 6 beds are in seperate rooms with attached washrooms, and is used to isolate paitents with communicable diseases, and the rest are in a single ward which is now being used to accomodate police and army personnel suffering from different ailments. Doctors give regular visits to the paitents of their respective units and departments, and are also available on call. This ward has successfully treated 372 cases of dengue so far, since 2014. The patients are looked after by the doctors of the respective departments. Nursing care and services are provided 24*7 by a dedicated team of nurses. The maintenance and housekeeping in cottages is outsourced. The Night Shelter (रैन बसेरा) was inaugurated in August, 2015 to provide suitable accomodation to the relatives & attendants of the paitents. 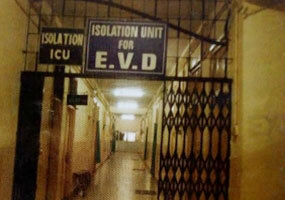 It comprises of 70 rooms that are adequately provided with blackets & medicines. Kitchen facilities are provided to the attendants for preparing their own food. The care & maintenance has been outsourced to M/S Annapurna Utility Services Pvt. Ltd. The rent has been decided to be Rs. 50/day. 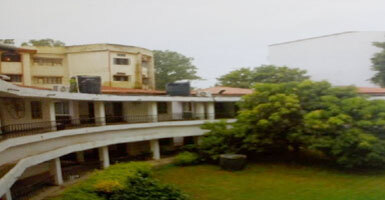 A separate ward for the prisoners came up during the year 2008 during the tenure of Dr. N.N. Agarwal as the Director of RIMS, located in the basement; it is looked after by the hospital superintendent and the state police department. It has a capacity of 20 patients at a time. Mrs. Ranju Kumar is the in-charge of this ward. Other staff includes Senior A-Grade Nurses in 3 shifts along with 2 policemen per prisoner. All the expenses of treatment including food and drugs expenses are funded by the hospital. Doctors of the department concerned are available round the clock. 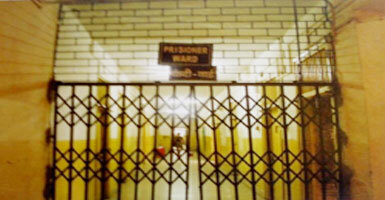 The Government and State Police provide security for the prisoner's ward. Armed and non-armed guards are available 24*7. Patients are always followed by the guards everywhere in the hospital. In case of any dispute in the hospital premises, medical superintendent and the city S.P. look after the matters. All the records of entry and retrieval are maintained. Hospital authority has no interference in these matters. It is not open to the general public. Access is granted only with proper authorization. To prevent any unpleasent situation/incident, every precautionary measure is taken.